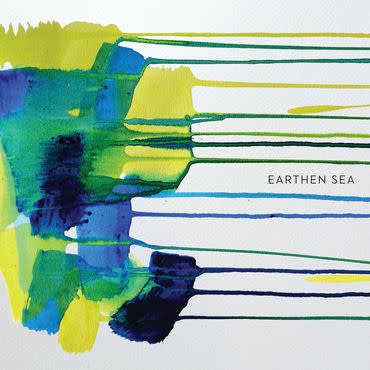 Jacob Long’s reductionist rhythmic ambient vessel, Earthen Sea, ebbs towards a more purely elementalstate on his second excursion for Kranky, Grass and Trees. He describes the creative process as one of “simplifying things as much as possible,” designing uncluttered spaces traced in nothing but breath, field recordings, and “sounds that could be played by hand but weren’t.” The results feel decentralized but dynamic, low-lit evocations of ambiguous nocturnal environments – dubtechno disassembled into stray pulses and spare parts. It’s a music both interior and infinite, languorous yet transformative, made in the outer boroughs of a metropolis but existing in its own liminal wilderness. Long’s vision is a grounding one, rooted in the physical body but attuned to larger currents: “In response toliving in a fairly hectic city, and at a very hectic time for the world at large, creating something more drawn back and restrained felt appropriate."